While horses are our main focus, Heavenly Horse Haven serves as a "safe haven" for many onther animals as well. You can check out our residents past and present by clicking on the links below. 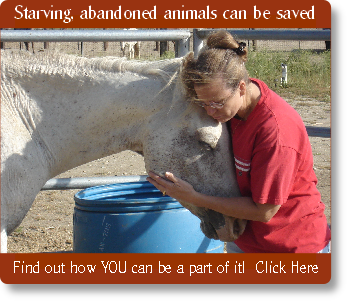 Rescue Horses - those in training and permanent residents. Adoption Horses - Horses that are ready for adoption and their new "forever" home. Adopted Horses - Our past rescues who have moved on to their new, loving and permanent home.